Cold season is upon us. 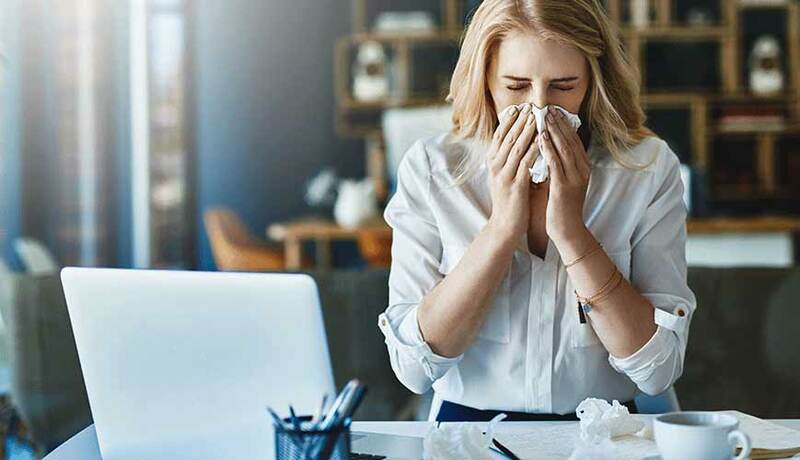 While not life-threatening, colds certainly can put a damper on our ability to function at the highest possible level and debilitate our daily life if they get bad enough. There are steps you can take to keep your immune system high, running well, and preventing as best as possible colds from overtaking your health and life. The easiest way to deal with a cold is to prevent it before it happens. Prevention is a multifaceted approach, one that involves mostly daily habits to set you up best to avoid the hassle and the suffering. The nervous system is comprised of the brain, spinal cord and the miles of nerves that travel throughout the body. The brain communicates with every aspect of your body and controls every element of your body’s functions and health via this system. An optimally functioning nervous system is required for highest health. The health of the spine plays a vital role in the nervous system’s ability to function. When the spine is unhealthy and the joints are restricted, fixated, misaligned, or subluxated, the nervous system is unable to function at its optimal level. Chiropractors assess the health and motion of one’s spine and spinal joints. Chiropractic adjustments restore spinal joint range of motion and assist with your nervous system’s ability to run without interference. Chiropractic adjustments can also boost the immune and lymphatic systems. The lymphatic system is what carries waste out of the body. Making sure this system is able to run as cleanly and clearly as possible is imperative in cold prevention. So regular chiropractic adjustments for a healthy and preventative lifestyle is a great idea. Water, water, water -- it’s likely you don’t drink enough. You should be drinking about half your body weight in ounces of water each day. So water in tea, or mixed with other juice drinks -- none of that counts. If you drink caffeinated beverages or alcohol, those actually deplete your body of water. Therefore, it’s wise to then increase the amount of water consumption ounce-for-ounce based on whatever else you’re drinking. Water is needed for proper function in every single cell of your body. When you’re not giving the body the baseline amount of hydration it requires, it is harder to go above and beyond basic function and then prevent barriers to viruses and bacteria. Water also helps with proper function of lymphatic flow. Consider proper hydration a part of cold and illness prevention. Your body requires rest. Sleep is a weapon. One of the quickest and easiest elements of self-care in this society is proper sleep. Body systems restore and repair when you sleep. Depriving yourself of proper sleep is to deprive the body of the chance to take the load off, to lighten up, and catch its breath. Lack of sleep has been known to weaken the immune system. During sleep there are certain proteins called cytokines that are released. Certain types of these cells must increase when you’re fighting an infection or illness; it helps ward off sickness. If you lack proper sleep, this is one way you can ensure proper cell production to fight infections/illnesses properly. Movement is life. Moving the body promotes proper oxygen and carbon dioxide levels. Your cells need proper levels of these gases to properly ward off infection and for you to be as healthy as possible. Exercise promotes proper lymphatic flow as the lymph system does not have a motor to propel proper excretion; the body depends on movement of the body. The better the lymph system is moving, the more waste that is removed and the less backup/stagnancy in your system. Not to mention that exercise is well-known to help mental health. The healthier and happier you are mentally, the less tax on your system overall and the better your physical health. In order to best suit yourself for moving through this season without catching a cold, start with regular chiropractic adjustments. Follow up those adjustments with proper water consumption and 7-9 hours of sleep nightly. Don’t forget, move your body daily. Exercise in order to help yourself stay healthy, not just to stay physically fit or to drop some pounds. Your immune system will thank you!